Valedictory Address to the Graduating Class of Jefferson Medical College, 1883. Portrait of Dr. J. M. Da Costa by an unidentified photographer, c. 1880. Image courtesy of the Center for the History of Medicine. 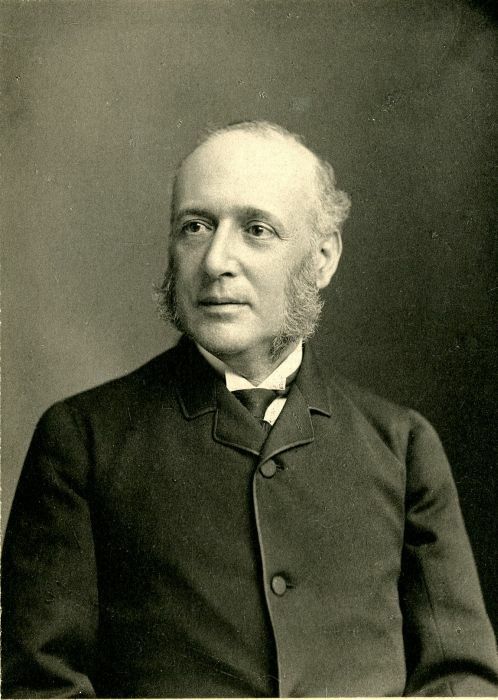 Jacob Mendes* Da Costa, referenced in the first episode of Mercy Street, is little remembered today despite being something of a “physician’s physician” in the late nineteenth century. Although he published less than many of his peers, as a clinician, researcher, and beloved educator Da Costa shaped the course of American medicine in the late nineteenth century. Da Costa led an exceptional life even before entering the halls of Jefferson Medical College. He was born Jewish in the West Indies on February 7, 1833. At age four, he left St. Thomas for Europe Jacob received most of his early education in Germany. After his father’s death, the family settled in Philadelphia in 1846. Here, his mother converted to Christianity and joined the Episcopalian church with her second husband. Jacob apparently converted at or around the same time. As a teenager, Da Costa wanted to go into politics or diplomacy. Perhaps an unsurprising career path given his exceptional language skills—Da Costa Jacob spoke French, German, and English fluently, had a “reading knowledge” of Portuguese, Italian, and Dutch, and was a dedicated student of both Greek and Latin. However, his friends and family persuaded him to enter Jefferson Medical College. At Jefferson Medical College, Da Costa studied under Dr. Thomas D. Mütter (of Mütter Museum fame). He graduated with honors in 1852 and returned to Europe for additional clinical training. After eighteen months abroad, he returned once again to Philadelphia and put down permanent roots. He opened his own practice and began to teach. He was appointed physician to the Moyamensing House of Industry. When the Civil War broke out, Da Costa served as an Acting Assistant Surgeon at various Philadelphia-area hospitals (see this post on his identification of irritable heart). The wounded and ill soldiers coming through Philadelphia would have kept Da Costa busy, but he still found time to publish his landmark textbook Medical Diagnosis With Special Reference to Practical Medicine in 1864. This book would go through nine English editions and several foreign language editions by the time he died in 1900. The textbook proved to be his most influential contribution to medicine and speaks to his interest in teaching. His major innovation in this volume was to group conditions based on their “marked symptoms.” The book also outlined diagnostic technique so that any practitioner could locate and identify the symptoms. After the war, Da Costa returned to civilian life. He accepted an appointment to the Philadelphia Hospital in 1865 where he remained for the rest of his life. The following year, he became a professor of clinical medicine at Jefferson Medical College. Although he continued to practice medicine and publish research, it was as a teacher that Da Costa found his true calling. His peers described him as, “the most able teacher of his time in the Eastern United States.” His students appreciated that, “Da Costa always puts the thing in a nutshell” during his lectures. In the following decades, Da Costa would shape the American medical profession and education. He was one of the founding members of the Pathological Society of Philadelphia and the Association of American Physicians. He served as the AAP president in 1897. Da Costa was elected a fellow of the College of Physicians of Philadelphia in 1858 and served as its president twice, once from 1184-1886 and again from 1895-1989. Da Costa was closely aligned with both Philadelphia’s medical and social elite. His fellow student, John H. Brinton, would become the first curator of the Army Medical Museum, traveling companion, a life-long friend, and Da Costa’s brother-in-law. Da Costa married Brinton’s sister, Sarah Frederica Brinton, in 1860. He was a close friend and colleague of Dr. S. Weir Mitchell, an early neurologist. Jacob M. Da Costa died of heart failure on September 11, 1900 at age 77. His influence lived on, however, in the generations of medical students and physicians who he influenced as an educator and by shoring up the boundaries and norms of the profession. *His biographer and long-time secretary, Mary Clarke, spelled Da Costa’s name Jacob Mendes Da Costa. However, the spelling Mendez does occasionally appear on documents related to the doctor and his family. I have decided to use the Mendes spelling since it appears most frequently in official documents and on his gravestone. Ashley Bowen earned her PhD in American Studies at Brown University. She is at work on a manuscript tentatively titled “‘All Broke Down:’ The Physiological, Psychological, and Social Origins of Civil War Trauma.” Prior to entering graduate school, she worked for a variety of museums and public health organizations. Chamberlain, Joshua Lawrence, ed. “DaCosta, Jacob Mendes, 1833-1900: Trustee 1899-1900.” In University of Pennsylvania: Its History, Influence, Equipment and Characteristics; with Biographical Sketches and Portraits of Founders, Benefactors, Officers and Alumni, 1:477–78. Boston: R. Herndon Company, 1901. Clarke, Mary A. “Memoir of J.M. Da Costa, MD.” Journal of the Medical Sciences 125, no. 2 (February 1903): 318–29. Da Costa, Jacob M. Address Delivered Before the Association of Military Surgeons of the United States. Philadelphia, PA: J.B. Lippincott & Co, 1896. ———. The Higher Professional Life: Valedictory Address to the Graduating Class of Jefferson Medical College, Philadelphia. Philadelphia, PA: J.B. Lippincott & Co, 1883. ———. Medical Diagnosis with Special Reference to Practical Medicine: Guide to the Knowledge and Discrimination of Diseases. Philadelphia: J.B. Lippincott & Co, 1864. Kobrin, Nancy Hartevelt, and Jerry L. Kobrin. “J. M. Da Costa, M.D.—A Tinok She-Nishbah? : An American Civil War Converso Physician.” Shofar 18, no. 1 (October 1, 1999): 16–39. Wooley, Charles F. “Jacob Mendez DaCost a: Medical Teacher, Clinician, and Clinical Investigator.” The American Journal of Cardiology 50, no. 5 (November 1982): 1145–48. doi:10.1016/0002-9149(82)90434-9.